The versatile Argon 18 Gallium carbon road bike featuring a fully-integrated frameset is perfect for all types of road riding and racing, providing rapid acceleration, remarkable downhill stability and exceptional handling. Argon 18 have designed and constructed the Gallium frameset around their Integrated Concept with all key component parts considered as a one-piece design consisting of carbon composite frame, full carbon GA31 fork, ASP-6000 carbon seatpost and their user-friendly 3D headset system which allows you to fine tune your headtube dimensions for a perfect fit. 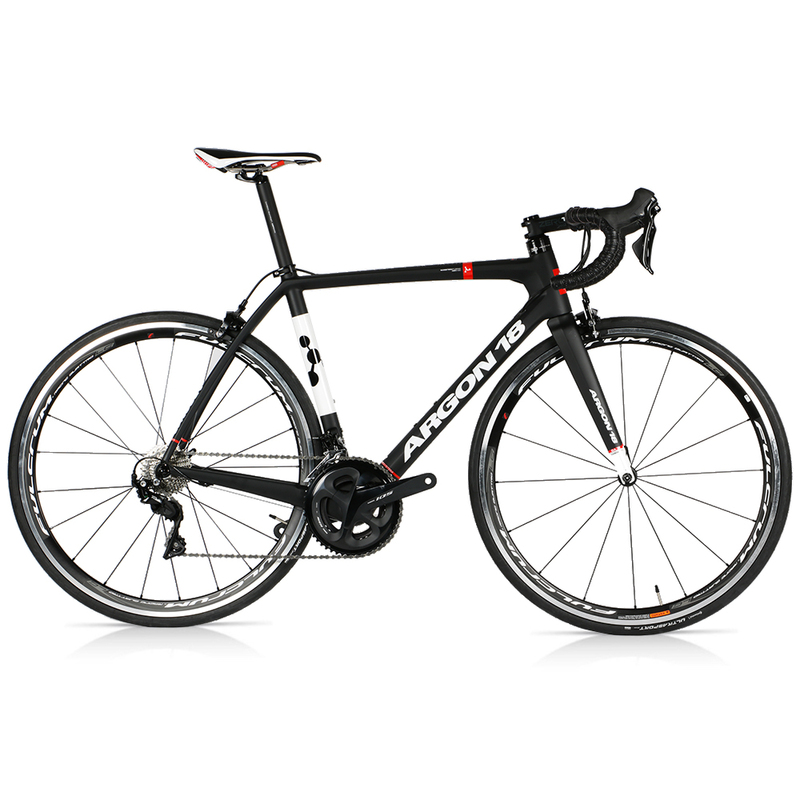 The Argon 18 6100 HM carbon composite frame has been cleverly engineered for optimal balance with all the power and rigidity of a high-end race bike combined with maximum comfort and handling making the Gallium is a pleasure to ride. Argon have applied their AFS (Argon Fit System) geometry to the Gallium, ensuring that stability and confidence at high speeds is guaranteed thanks to a BB-Drop of 75mm giving a lower centre of gravity. The Argon 18 Gallium carbon road bike features Shimano’s excellent new 105 R7000 11-speed groupset which includes a new Shadow Technology rear derailleur that gives a lower, more aero profile and increased protection from crash damage, with each gear selection being precise and predictable. The great looking 105 R7000 chainset has evolved directly from Shimano’s Ultegra R8000 version and is stiffer than its predecessor providing more power transfer than previously. Lightweight Fulcrum Racing Quattro LG wheels with 25mm Continental Ultrasport tyres keep you rolling fast and a choice of finishing components lets you customise the finer details of this great handling carbon road bike before our workshop technicians custom build your bike to your own spec. 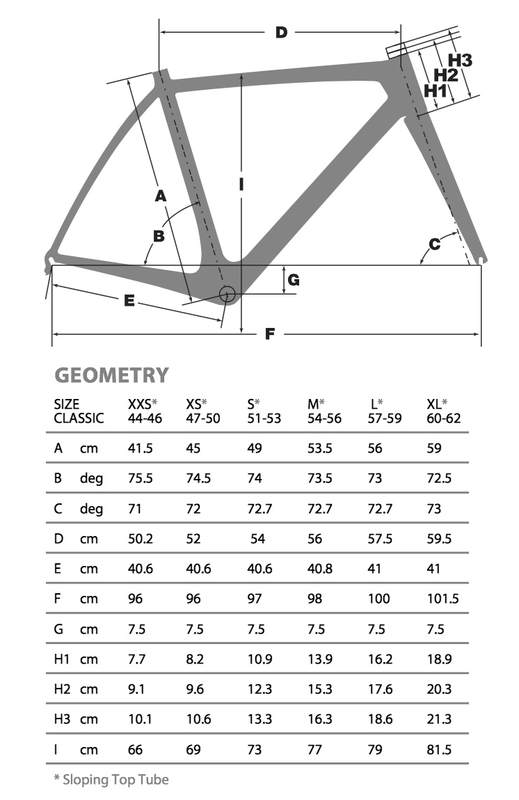 Choose your preferred stem-length, handlebar profile, the gear ratios of your cassette & chainring options and more to tailor your own dream Argon 18 Gallium carbon road bike specifically for you.